A ground-breaking research study into COPD – an incurable lung condition which affects three million people in the United Kingdom – is to recruit 1,000 people around the UK. Supported by the British Lung Foundation, Professor Lorcan McGarvey from the School of Medicine, Dentistry and Biomedical Sciences at Queen’s, along with colleagues from around the UK, will conduct research into the very early stages of the development of chronic obstructive pulmonary disease (COPD). For the first time, through this research they will be able to identify people at risk of developing the condition, which is a significant cause of illness and death. The research team will establish the “BLF Early COPD Cohort”, a group of young adult smokers between the ages of 30-45, and track changes in their lung function over time. The aim is to identify and study the people whose lung function is beginning to decline and are at risk of developing COPD. COPD is a life-long condition that makes breathing difficult because the airways have been narrowed. People living with COPD will feel out of breath doing everyday tasks, such as washing, dressing or walking to the shops. Although anyone can develop COPD, people who smoke run a particularly high risk of developing this lung disease. This study is a first step in understanding why the disease strikes some and not others and could lead to earlier diagnosis and better treatment. There are over 10,000 people in the Belfast HSC Trust who have a diagnosis of COPD – around a quarter of all registered COPD patients in Northern Ireland. According to BLF research, people living with COPD in Northern Ireland are more likely to end up being admitted to hospital than most other people in the UK who also have COPD, with more males admitted than females. Progress in finding treatments has been far slower than in other chronic disease areas such as heart disease and cancer. There are no drugs that can slow progression and no treatment that can reverse damage. 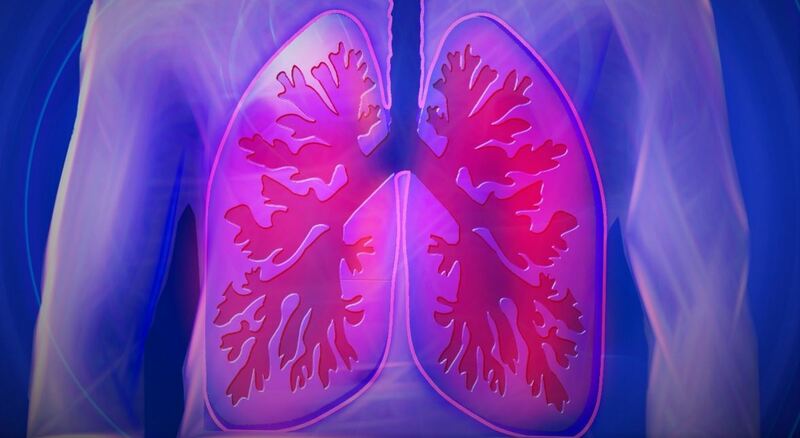 COPD patients have long called for earlier diagnosis and new approaches to treatment. However, for this, an improved understanding of the early phases of COPD is needed. Lorcan McGarvey, Professor of Respiratory Medicine at Queen’s, said: “As doctors, we spend most of our time treating patients with COPD where the condition is already well established and causing lots of symptoms. “Ideally, we would like to know more about COPD at the very early stages and how to identify those most at risk of developing severe disease. Ian Jarrold, head of research at the British Lung Foundation, said: “COPD can be incredibly life-limiting for people. Think about the last time you were out of breath, and imagine being in that state just doing everyday tasks like brushing your teeth. “There remains an urgent need to provide people with better treatments, but this is dependent on us gaining a better understanding of how the condition develops and progresses. The British Lung Foundation is the only UK charity fighting to help the 1 in 5 people in the UK affected by lung disease, by researching new treatments, campaigning for better awareness and services, and providing support and advice for patients, carers and family members. Anyone who is interested in getting involved with this significant study can do so by contacting Maura Anderson on telephone: 028 9504 3814. Participants could benefit by having a CT scan of the chest free of charge, access to stop smoking support, a research team specialising in COPD, and follow-ups with the NHS where abnormalities are found. They can be male or female, must be aged 30-45 years old with more than a 10 pack per year history of smoking, with either normal lung function or mild lung function abnormalities. To find out about supporting medical research at Queen’s visit the Development and Alumni Relations Office website or contact Teresa Sloan, Head of Health Fundraising, telephone +44 (0)28 9097 5394. Medical queries arising out of this news story should be discussed with your GP/consultant and not DARO staff. Media enquiries to Suzanne Lagan, Communications Office, Queen’s University Belfast, telephone: +44 (0)28 9097 5292.